Mary Jayne took this photo. Go, MJ! 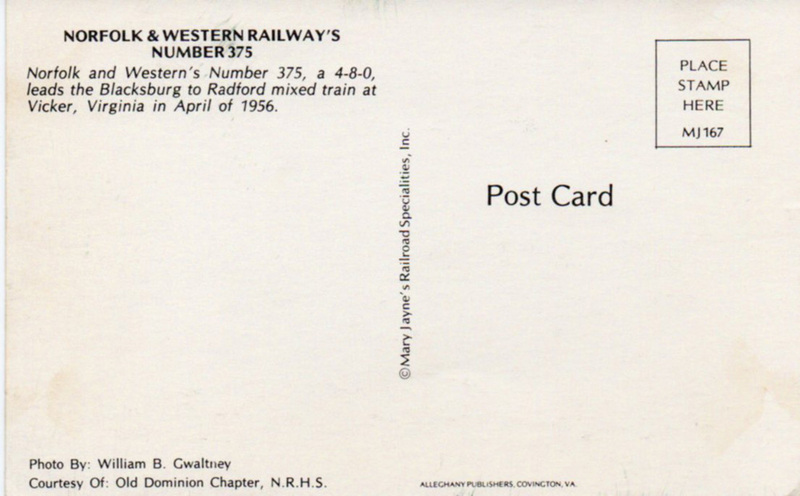 This is a Mary Jayne’s Railroad Specialties card from the early 90s. 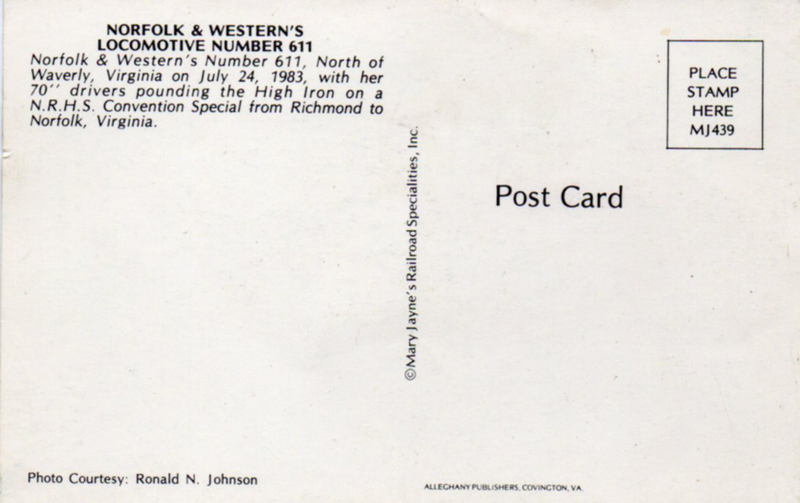 It was printed in Covington VA, where Mary Jayne Rowe lived. As with the MJRS airline cards, I’d like to know how MJR chose the pictures for this series and for her airline series. She’s passed on, so I can’t tell her how much I’ve enjoyed these cards. 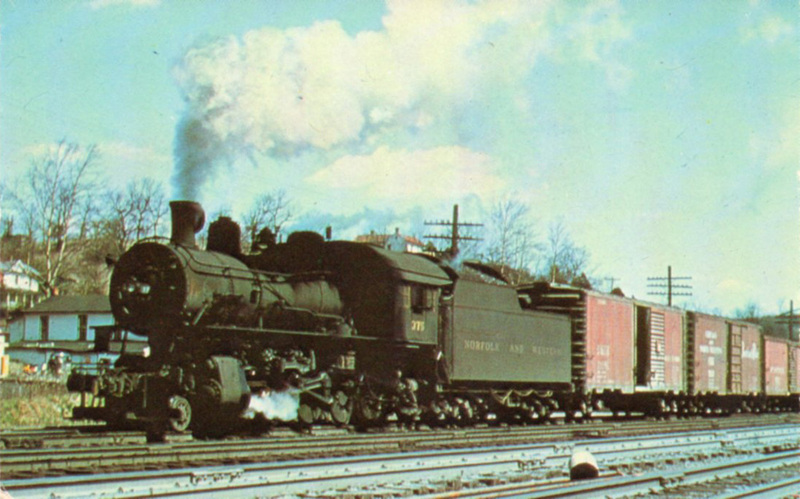 N&W engine 611, built at a cost of $251,544 in 1950. Still going in 1983. 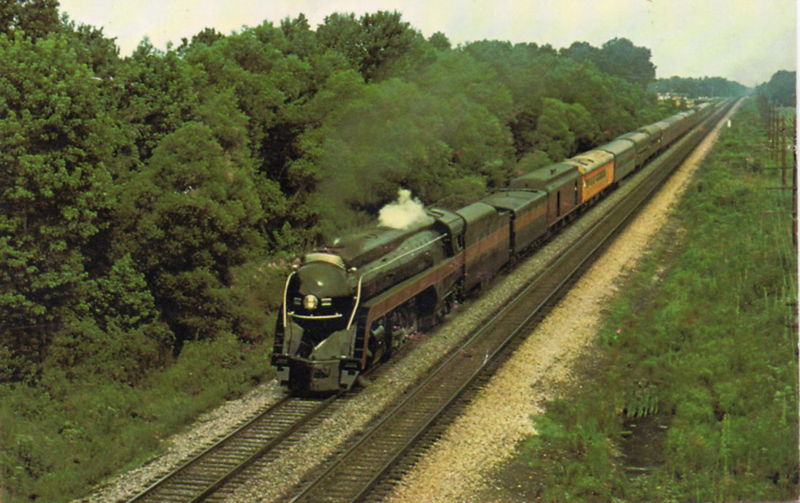 This is a Mary Jayne Railroad Specialties train card (there are also airline cards). It was printed in Covington VA, where Mary Jayne Rowe (d. 2015) lived. The MJRS was incorporated in Miami.